The Samsung Tizen Z3 was introduced back in October 2015, as the second smartphone from Samsung that shipped with the Tizen OS. The Tizen OS is a third-party, open source OS, based on Linux. Tizen was regularly used by Samsung in its wearable devices and smart TVs, before being incorporated into a smartphone. It was a low-range, budget smartphone, aimed at first-time smartphone users. The phone comes with a 5-inch display, in a 16:9 aspect ratio, with a resolution of 720 x 1280 pixels. It is powered by a Spreadtrum SC7730 chipset, and supported by a removable 2600 mAh battery. It only supports a micro-USB 2.0 port, and a Hybrid Dual-SIM setup. While praised for attempting to push a fresh OS into a market dominated by Android and iOS, the fast and responsive Tizen OS could not match the third-party app support boasted by its competitors, and had very few popular apps on its native store. Poor support for apps on the Tizen store, which were often heavily stripped down versions of their Android or iOS counterparts, were also a major setback for the phone. 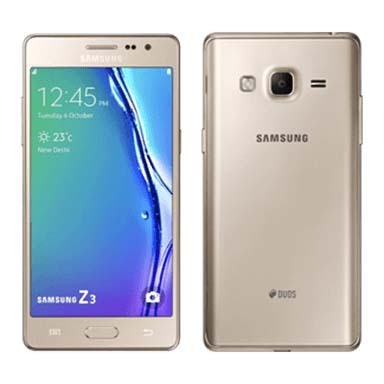 Why Sell Your Old Samsung Tizen Z3 On Cashify? However, you can easily sell your old Samsung Tizen Z3 online, and receive cash payment right at your doorstep, now with Cashify. To start, go to the Cashify website, and choose your phone’s brand and model. 1. After selecting your desired model,our portal will ask a few questions about your Samsung Tizen Z3 phone’s status, screen or body defects, and warranty information. 2. Our portal then automatically generates the best price in the market for your old device, in a completely transparent way. You can sell old phone on Cashify, assured that you’re getting the most out of it. 3. After our agent visits you, your device will be picked up, and you can request to be paid the full amount immediately, in cash! We also support cheques and e-wallets, for your convenience. Cashify is the best online avenue to sell mobile phone and other gadgets easily and transparently, with the best value for money.